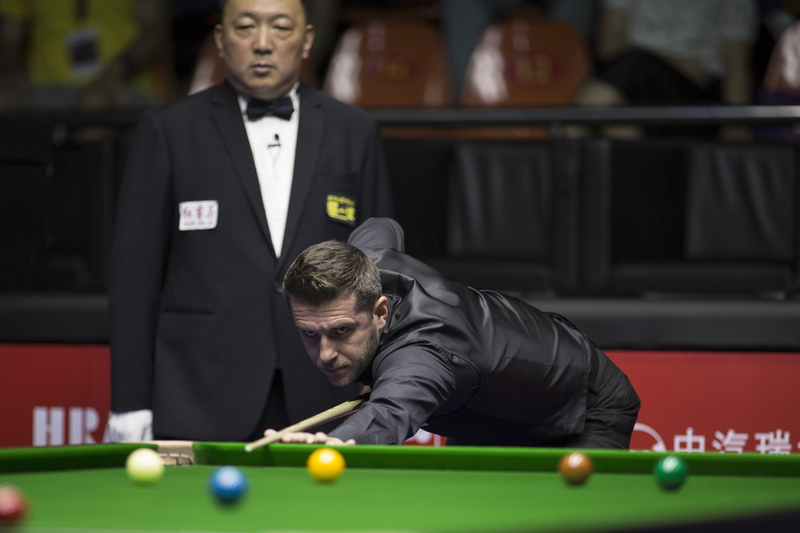 Mark Selby secured a 5-2 defeat of Jimmy White at Evergrande China Championship qualifying in Preston to book a trip to Guangzhou. World number one Selby has a task on his hands if he wishes to retain his place on top of the world rankings, which he has held since February 2015. The latest provisional end of season rankings project World Champion Mark Williams to move into the world number one spot by the end of the term. The Jester from Leicester top scored with a break of 118 on his way to qualification for the lucrative event. Stuart Bingham rallied from 4-2 down to defeat Craig Steadman 5-4 in a nerve jangling final frame decider. The 2015 World Champion was faced with a tricky final black with the rest for the match, but deposited it to book his trip to Guangzhou. Kyren Wilson and Stephen Maguire eased through with 5-1 victories. They defeated Lukas Kleckers and Chen Feilong respectively. Judd Trump held off Eden Sharav to progress with a 5-3 win. While young Chinese star Yan Bingtao came from 3-1 down to beat compatriot Niu Zhuang 5-3.